#DerbyBloggersBrunch at The Cosy Club, Derby. A couple of months ago, I made a decision to attempt to organise a meet up for bloggers across the region. I decided to chose Derby as the city to host it in as not a lot happens here. Nottingham, Leicester, Birmingham etc. are always hosting blogger events - Derby has nothing really. After attending the launch night celebrations at the new Cosy Club venue a few weeks back, I knew this would be the perfect place to hold the event. It's spacious, they have a great menu selection and with it being a new restaurant, it's something different for everyone. After advertising the event on Twitter and Facebook, I had more interest than I ever imagined I would get. People from all over the region willing to attend an event that little old me thought no more than 3 people would be willing to go to. All in all, we had 15 guests (unfortunately a few had to pull out due to unforeseen circumstances which was a shame) who were all set to arrive for our 10:30am reservation. I decided to make the sign above as a way for attendees to know where I was. Plus, it looks good in a photo. It's just a shoebox lid that I spray painted black and wrote on in a metallic silver sharpie marker pen. I then displayed it in a little easel that we use at home to hold a picture frame. Once everyone had arrived, we were taken through to our table. As I'd arrived earlier than everyone else, I was able to sneak in and pop a little goody bag for everyone on there as a thank you taking the time out to come along. These contained a variety of foodie treats from Propercorn, The Treat Kitchen, Snact, Eat Your Photo and a pair of socks that were kindly donated by The Cosy Club themselves. Huge thanks to all of these brands for gifting these items towards the event. Shortly after, our brunch arrived. I'd given Cosy Club a pre-order to make things run smoothly on the day. I thought it was great that the waitresses served the food by name (I'd written these next to everyone's choices). This made it so much easier than the whole 'who ordered what saga'. As the food came out, so did everyone's cameras and phones - bloggers eh!? I chose to have Triple Stacked Buttermilk Pancakes with Smoked Streaky Bacon and Maple Syrup. I wanted something that was going to be a treat. These pancakes did not disappoint, the Pancakes themselves were fluffy, the Bacon crispy, just how it should be on a dish like this. I have a real thing for the whole sweet and salty thing at the moment. I'll definitely return to the Cosy Club for their brunch menu, it was superb. Nobody had any complaints throughout and the staff were great with us. 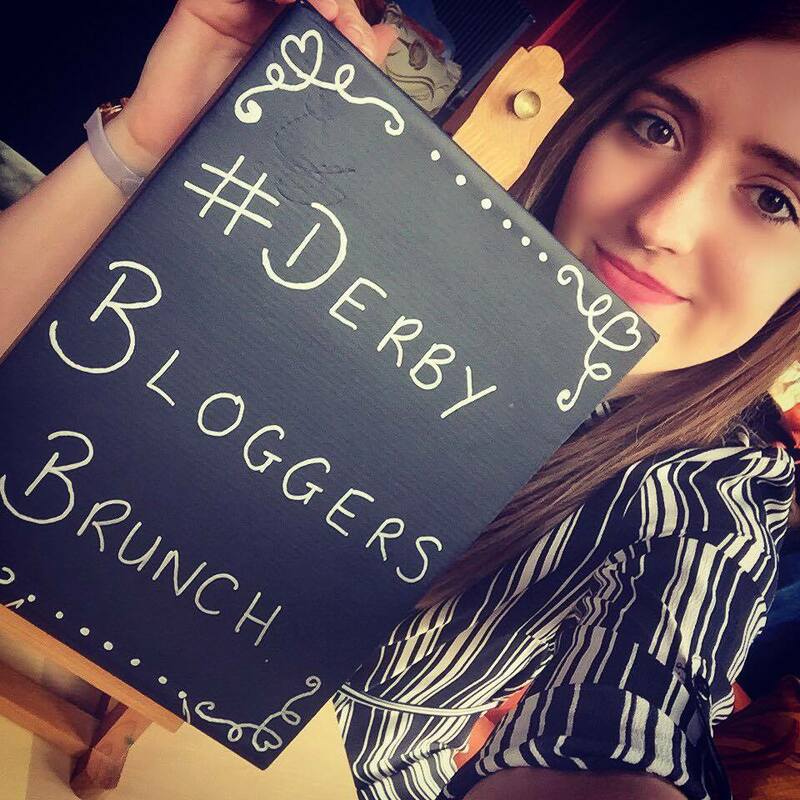 Big thanks to all of the bloggers who attended my #DerbyBloggersBrunch - it was so great to meet you all. So, what do you think? Should I organise another meet up? Let me know! Thank you so much for organising the meet up Monet! From the venue to the goodie bags, everything was wonderful. Thank you so much. I'd love for you to arrange another blogger meet up! I had a fantastic time! Aww that's alright Sophie- thanks so much for coming! You had nothing to worry about all along. I hope you had a lovely morning. I'll definitely look into organising something else. Cocktail masterclass has been suggested! The goodie bags were a nice surprise - I wasn't expecting that at all! It was lovely to put faces to some blog names. Thanks again.